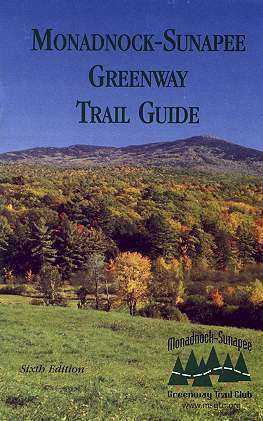 The Monadnock Sunapee Greenway is a 50-mile long-distance hiking trail in southern New Hampshire, stretching from Mount Monadnock north to Mount Sunapee. It makes for excellent early season hiking and offers backpackers the opportunity—and shelters—for a 5-day, 4-night excursion through the sylvan wilds of southern New England. Over the past few years, the Monadnock Sunapee Greenway Trail Club—a volunteer organization dedicated to protecting and maintaining the trail—has constructed four three-sided shelters along the trail that are open for overnight use on a first-come, first-serve basis. 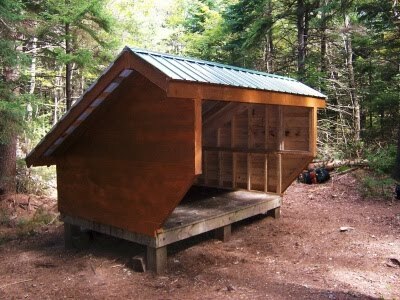 The most recent addition is the Max Israel Shelter near the trail’s northern end, which was completed in September of last year. Construction of the Max Israel Shelter also marks the completion of a network of shelters along the trail. You can learn more about each shelter, including pictures, here. The Trail Club also updated the official trail map to the Greenway in 2009, which includes the latest trail relocations, shelters, and campsites, as well as GPS coordinates and information. 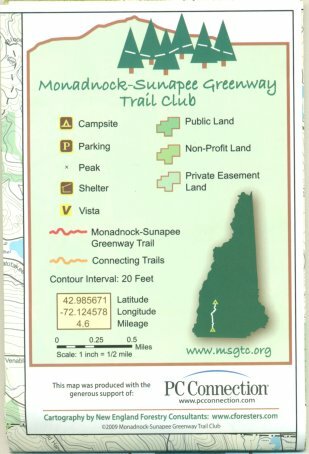 It comes included with the 6th edition of the Monadnock-Sunapee Trail Guide ($14) or can be ordered separately for $7. You can order it from the Trail Club (along with cool T-shirts and patches) here.